Unfortunately, I couldn't find a decent moving video for Amateur Hour, but this does have decent sound quality. You'll also have to put up with DJ Steve Wright desperately trying to be amusing about keyboardist Ron Mael in The Number One Song In Heaven. 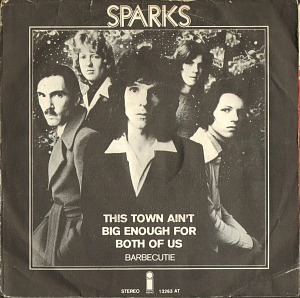 Sparks last chart hit in the UK was a re-release of This Town Ain't Big Enough For Both Of Us, which reached #40 in 1997. 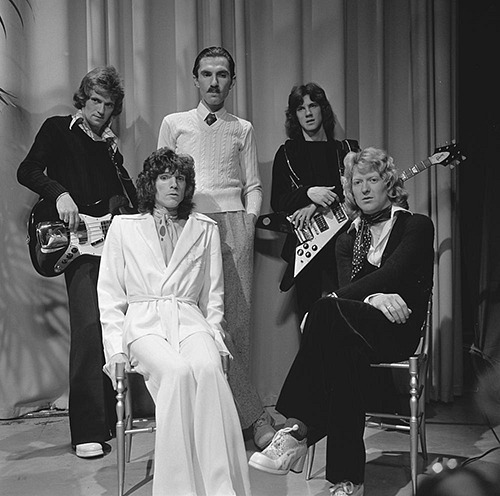 The song was originally a No.2 hit in 1974, which was the group's biggest hit. 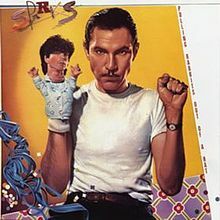 During the 70s, Sparks were actually a band (rather than a duo) and had a very different, rockier sound. The synthpop sound wasn't used until they teamed-up with the Italian music producer, Giorgio Moroder, for the album No.1 in Heaven, which was released in 1979. Moroder also produced the next album Terminal Jive. The band have used a blend of both real instruments and synths since then, at times venturing more towards pure electronica and dance music. American Brothers Russell and Ron Rael decided to use a lighter synthpop sound for their 1983 album In Outer Space. Their 2009 album, The Seduction Of Ingmar Bergman, was actually a pop musical, rather than a collection of individual tracks. 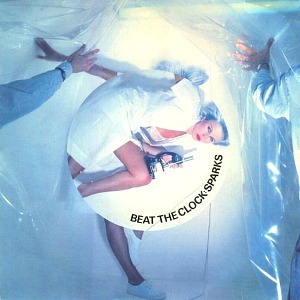 Pretending To Be Drunk was the second single from Sparks' 13th studio album Pulling Rabbits Out Of The Hat (see left image). Neither the album or single were commercially successful. Two other singles were released from the album; With All My Might was the lead single and Progress was the third and final single.